Are Smart Speakers Worth Buying In Australia? This month Apple and Amazon will both launch smart speakers in Australia, trebling our options for voice-activated, internet-connected, American-tech-giant-controlled home assistants. The category has taken off in the US, where it was pioneered by Amazon, but will it fly in Australia? The Apple HomePod and Amazon Echo will join Google's Home — which has been on Aussie shelves for half a year — in a much-hyped product category that promises to sit at the centre of connected homes and let you interact with everything from your music to your light globes in a much more natural way than can be achieved on your phone. At their core, these devices are designed to remove barriers between you and the content and functionality provided by your internet connection, and their usefulness largely depends on the connected tech you already have in your home. But is there actually any demand for these things in Down Under? "We haven’t seen a huge amount of evidence that people care about it a lot", says Angus Kidman, editor-in-chief for comparison site finder.com.au (and former editor of Lifehacker Australia). "There's a lot of hype, there's a lot of discussion, but I don't get the impression that people are massively excited about it at this stage, because the utility hasn't really become that clear to people yet". Google Home is an artificially intelligent digital assistant that responds to your voice commands in a variety of ways. Nine months after its debut in the US, it is finally available to buy in Australia - complete with a dinky-di accent. If you've just set up your Google Home and aren't sure what to ask it, here are 57 commands and questions to get you started. Indeed despite the device launching in July last year, it's still somewhat rare to see a Google Home being actively used in anybody's house. Kidman suspects that beyond their use as a music player, the functionality of these machines has gone over Australians' heads. "The music is the obvious thing. We've got used to the idea of wireless speakers already, that's become a big part of the audio market, so the idea that I can make it play something by talking to it seems like a reasonable shift", he says. "But we haven't seen the same level of underpinning to do the other things, whether you're talking about reading recipes, or you're talking about shopping". Amazon Echo, the voice-controlled smart home gizmo that "inspired" Google Home, is finally coming to Australia! Here are the pricing, model and availability details for the local market. And shopping, of course, is a big advantage for the Amazon Echo in the US. The online retailer is deeply entrenched in the daily lives of millions in its home territory, selling (or facilitating the sale of) everything from fresh food to computer cables, and offering free fast shipping and access to a massive media library as part of its Prime subscription. Of course none of this is part of its Australian offering yet, and Kidman says that without the ability to conjure groceries with your voice and without an established install base, the Amazon Echo is going the feel like a "damp squib" at launch. "It's not going to be a big success off the bat, there just doesn't seem like that much reason to go for that versus going for one of the other platforms", he says. "And the advantage of those other platforms is that they have a significant userbase via phones. People who have used their services, and so as soon as they start using the speaker it will work more intelligently". This means a long-term Google user who buys a Home will notice it's very accurate at selecting music they like, even when given vague directions or making playlists on the fly. The same will likely be true for the HomePod and Siri. Amazon Music, Alexa and Echo will be brand new for Aussie users. Google's advantage is the competency of its Assistant over Apple's Siri, and the breadth of its services. Assistant, along with most Google services, lives on iPhones as well as Android phones, and Google offers alternatives to its own streaming services on Home, including Spotify. 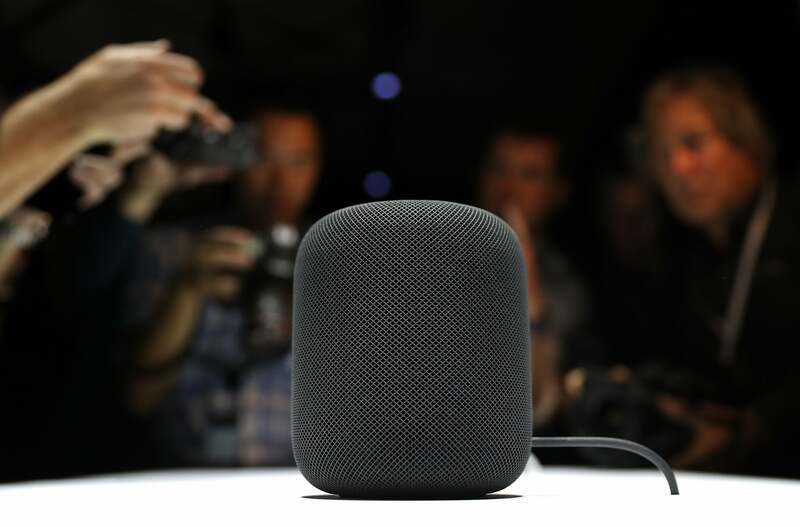 Apple's HomePod is the company's latest new gadget, packing a smart assistant, smart home hub and multi-room audio speaker inside an overpriced, rounded package. For Apple's part, its HomePod has the advantage of being a much more sophisticated sound system, and Kidman expects it to be competitive despite being several times as expensive as Home. "Apple can get away with charging more for a product than other people do. We’ve seen this consistently with the iPhone", he says. "People who like being in that ecosystem don’t mind paying extra, indeed I think for some people being able to show that they can afford to pay extra is part of the appeal". The real issue for Apple will be the Homepod's tie to Apple Music. Not every iPhone owner uses Apple's service, but its the only one available on the speaker. "With downloading to own, [Apple] had a clear dominance with iTunes, but it hasn’t achieved that dominance with streaming", Kidman says, adding that the HomePod feels a bit like Apple's last new product, the Apple Watch. "They're going to sell a few of them, but it seems hard to imagine it’s going to become a big significant revenue stream", he says. Google offers a smaller version of its smart speaker too, as will Amazon, which is designed as a cheaper way to add voice control to your home, or as a way to supplement the main speaker by placing it in another room. It doesn't sound as good when it plays music, but it's just as competent at answering queries or directing your other connected devices. For example placing a Google Home Mini in your lounge room would allow you to use your voice to call up a Netflix show on an Android-based smart TV, play music on your cast-compatible sound system, set your Fetch PVR to record a show later that week, or turn off your connected bulbs for some mood lighting. As people add connected devices to their home and discover that smart speakers are for more than just music, compatibility with third parties will become ever more important. "It’ll be more about the battle for developers, in the next 12 months to two years, than the battle for consumers I suspect", says Kidman. "Again it feels like Apple’s at a little bit of a disadvantage there, because Apple is so much about constructing its own thing and having it in-house. Whereas we’ve seen a much more active developer outreach from Google trying to encourage people".